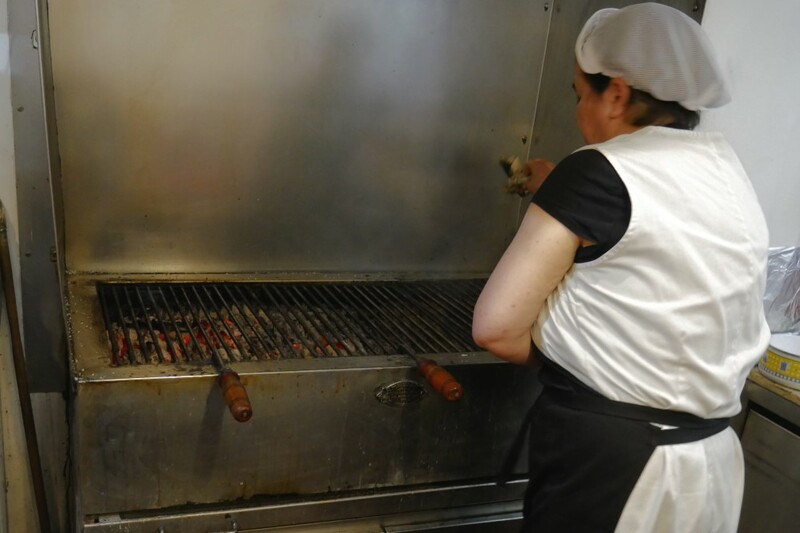 loresta das Escadinhas is a little eatery just off the main tourist trails leading to the Praça do Comércio in central Lisbon with a pleasingly simple menu and, more importantly, a nice big charcoal grill right by the entrance. 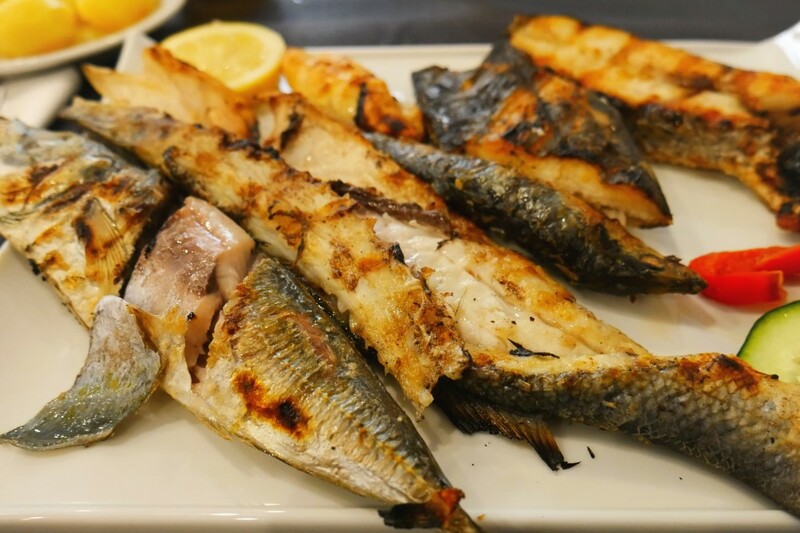 Next to the grill station and bar area, there’s a row of refrigerators displaying the various fish, meat and dessert options and it’s clearly an establishment that focuses on its food. There also appears to be a decent mix of locals and tourists. So far so good! Although I was in town just a little to early for the main sardine season, I knew Portugal’s famous fishing industry was not going to let me down so I went straight for the Mista de Peixe (mixed fish) along with a local cerveja. I will debate anyone who claims there is a better way to cook fish than over glowing embers. At this point you can sit back and watch your meal take shape as the fish is selected from the adjacent refrigerator and thrown on the grate. Despite the overhead extractor there’s enough of a scent in the air to whet your appetite and, if you listen carefully, you can hear your meal sizzling away. A few minutes later the fishy mixed grill arrives and just look at it. What a sight to behold. I will debate anyone who claims there is a better way to cook fish than over glowing embers. It almost steams itself while the skin takes on a crispiness and flavour hit that can’t be replicated. It’s pretty much impossible to pick a favourite but, if you’re on the fence about fish you should try this dish. If you’re still not sure then it’s fairly safe to say you don’t like fish. If you do, then this will be a delight.